You are currently browsing articles tagged Wenzao. As some of you know, I applied for one scholarship and two master’s degree programs earlier this spring. The scholarship is from Taiwan’s ministry of education and basically covers tuition fees and living expenses in Taiwan for two years. The master’s degree programs are both identical, at least on the surface, and are called 華語文教學研究所, which in English is usually called Teaching Chinese as a Foreign Language. One is offered by 國立臺灣師範大學 (NTNU) in Taipei, the other by 文藻外語學院 (Wenzao) in Gaoxiong. Applying for this scholarship and these master’s programs was at times frustrating and took a lot of effort, time and money. By the end of March, I had submitted all three application. I have now received the results from all three selection processes and I’m happy to say that all of them were successful. In other words, I have acquired the scholarship and I have been admitted to both institutions. This leaves me with a delicate choice, however, because I need to decide which choice is the best one. Go to NTNU in Taipei or Wenzao in Gaoxiong? In this post, I will discuss these options. I do this in equal parts because I want to tell you what’s going on (and thereby perhaps receiving some helpful input) and because I need this kind of structured writing to better understand the two options myself. Writing this, I have not yet decided what I want and I’m not likely to make the final decision for at least a week. Therefore, any input you have to offer would be much appreciated. Below, I will discuss some factors influencing my choice. These aren’t necessarily carefully ordered, but I’ve tried to keep important factors closer to the top. I need your help to come up with things I haven’t really thought about that might influence my choice. Are there other factors I should take into consideration? Do you find my discussion of these factors faulty or lacking in some area? This is tricky, because quality can mean many things. NTNU is generally ranked higher than Wenzao, but that means little or nothing to me. 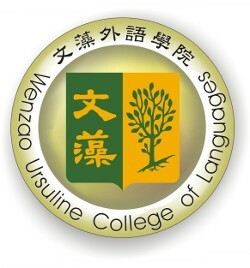 First, every university has it’s strengths and weaknesses, and considering Wenzao is a language college, it would surprise me if their language teachers aren’t good. Saying that one university ranks higher than another says little about a particular program taught at that university. Second, the criteria natives use to assess education quality isn’t necessarily the same as the ones I would use. I consider the two options equal here. This is something I think is fairly important, mostly because I’m convinced that accommodation was a main factor making me dislike Linkou during my stay in northern Taiwan in 2009/2010. This time, I want to live somewhere which is larger than 10 square metres. It would be awesome to share an apartment with other people, but I don’t know how difficult this will be to arrange. I don’t want to live in the university dormitory, at least not more than temporarily. Taipei is the inferior choice here, considering that apartments are harder to find and much more expensive. Finding accommodation close to Wenzao is very easy. If you know anyone who might be able to help me find room mates or somewhere to live in either city, please let me know! The two institutions offer educations which are quite similar, but they are wildly different when it comes to enrolled students. At NTNU, half of the students are foreigners, at Wenzao, there are only four foreign students spread over three departments (thus, I might be the only international student). Classes at NTNU are also significantly bigger than at Wenzao. However, I’m not entirely sure if it’s good or bad with many international students. Sure, the immersion environment and the opportunities to interact with natives will suffer slightly, but on the other hand, the education might be more suited to the needs of non-native speakers. On the other hand, a smaller institution might be more flexible. Making my choice based only on matters related to education would be stupid. If I want to learn a lot of Chinese during my stay, I need to be happy and lead a satisfactory life in general. Thus, there are some practical factors which greatly influence the choice. For instance, Taipei is much more convenient for someone who refuses to go by scooter. NTNU is also a bigger university, which includes better facilities (library, computers, sports, restaurants). The same goes for Taipei in general, which is obviously a bigger and more modern city than Gaoxiong and is therefore more likely to satisfy my needs in general. This is a factor which is quite important, not only because social connections matter to me, but also because it will facilitate everything else. If I know lots of people close to where I live, I will have an easier time readjusting to life in Taiwan. Taipei is bigger and I know more people in the north. Furthermore, Taipei offers vastly superior public transport, so it’s much easier to go to other places from there. This might be a significant problem in Gaoxiong. Here, I refer both to actual climate (rainfall, temperature, etc.) and social atmosphere. The fact is that I like southern Taiwan much more than I do northern Taiwan. I have lived one year in each area and based on personal experience, I’ve liked life in the south much better. Furthermore, the weather is a lot better, even though the summers are hot. The bad weather in the north might be slightly alleviated if I find proper accommodation, because being locked in a 10-square-metre box when it rains for weeks is not my idea of a good life, and living in a bigger place should make the winters endurable. Having written this introduction, I think that I now understand the options more clearly than I did before. I think that since some major factors are equal or close to equal, the one that will be the most determining is accommodation. If I were guaranteed to find suitable accommodation in Taipei, I think that’s where I would choose to go right now. The problem is that there is no such guarantee. Naturally, this means that I will do my best to find accommodation, starting now. If I can find somebody who wants to live with me, it would be much easier. If you know anyone who can help, please let me know! I think my goal for writing this post has been fulfilled. I feel that I understand the choice better than I did a couple of hours ago. I also hope that you understand the situation more clearly (and that you now know about it if you didn’t already). The next step will be to ponder this for a while, ask other people for their opinions (yes, that includes you, please leave a comment). Having done this, I will write a second post detailing how things have developed. As soon as I decide what to do, I will of course also post something about that. Stay tuned!